Busy weeknights can make for hectic meals, but these simple recipes prove you don’t have to trim out flavor or precious moments spent with family when you’re cutting minutes off your dinner prep time. 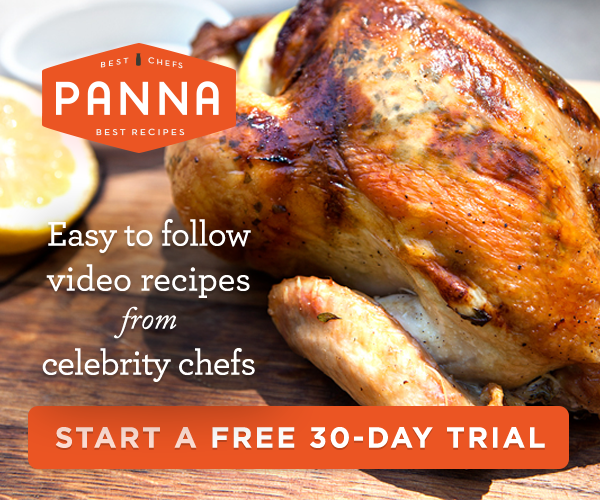 The secret to making quick meals your family will love is quality ingredients. 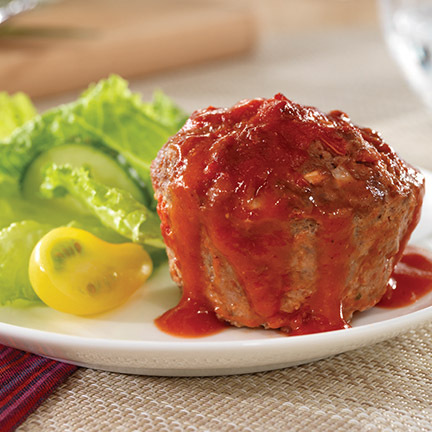 Tasty meals are easy when you incorporate the wholesome flavor of all-natural ingredients you feel good about serving your family, such as Hunt’s tomatoes. Hunt’s peels its diced, whole and stewed tomatoes using steam from simple hot water, so no chemical byproducts get put back into the earth. 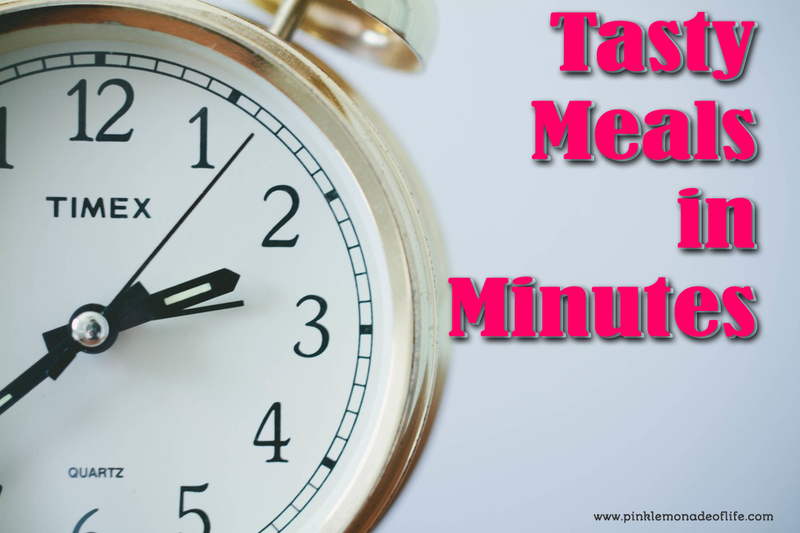 When you’re exploring new time-saving recipes, consider both prep time and total cook time. Many dishes can be assembled in minutes, leaving you time to help tackle chores and homework before sitting down to dinner. 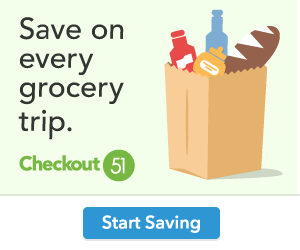 Enlist backup when the prep time is a little longer. For example, an extra set of hands from a little helper can shave minutes off the assembly of this Eggplant Lasagna, while getting a youngster excited about digging into a veggie-centric dinner. Make what you can ahead of time. Assemble a dish such as these Oven Roasted Brussels Sprouts with Tomatoes in the morning and slip them in the refrigerator, so all you have to do is slide them in the oven at dinner time. 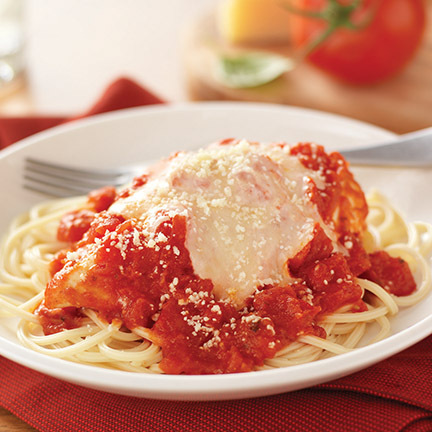 Find more family friendly recipes to fit your busy schedule at Hunts.com/recipes. Heat oven to 425°F. In large bowl, toss together Brussels sprouts, drained tomatoes, oil, garlic powder, salt and pepper. Spread mixture in single layer on large shallow baking pan. 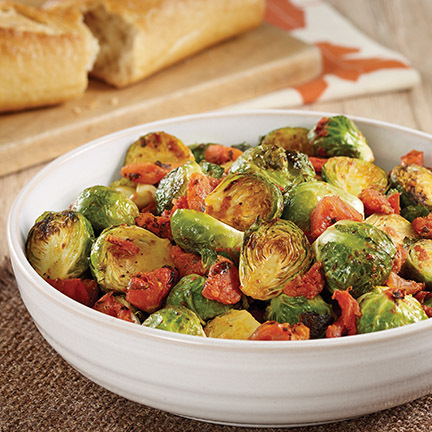 Bake 20 minutes or until Brussels sprouts are tender and browned, stirring once halfway through. Heat oven to 400°F. Lightly spray 6 medium muffin cups with cooking spray; set aside. In small bowl, combine tomato sauce, brown sugar and mustard; set aside. In large bowl, combine remaining ingredients. Add 1/4 cup reserved sauce mixture to meat mixture and incorporate. Divide meat mixture evenly and place into prepared muffin cups. Place muffin pan on baking sheet. Bake 25 minutes or until no longer pink in centers (165°F). Top each mini loaf with 2 tablespoons sauce; bake 5 minutes more or until sauce is set. Serve with remaining sauce. Heat oven to 350°F. Spray 8-by-8-inch glass baking dish with cooking spray. In small bowl, combine ricotta cheese, Parmesan cheese and Italian seasoning; set aside. Heat grill pan over medium-high heat. Brush eggplant slices with oil; sprinkle both sides with salt and pepper. In batches, place eggplant on grill pan. Cook each side 1-2 minutes or until lightly browned and tender. Remove and place on baking sheet lined with paper towels; pat to remove excess moisture. Spray large skillet with cooking spray; heat over medium-high heat. Add turkey and cook 3 minutes, stirring occasionally. Add onion and garlic; cook 2-3 minutes more or until onion is tender and turkey is crumbled and no longer pink. Drain. Add drained tomatoes, tomato paste and basil to skillet; stir to combine. Reduce heat and simmer 2 minutes more. Assemble lasagna by spreading 3/4 cup meat mixture over bottom of dish. Place 3 eggplant slices over meat mixture, top with 3/4 cup meat mixture, half of ricotta cheese mixture and 1/2 cup mozzarella cheese. 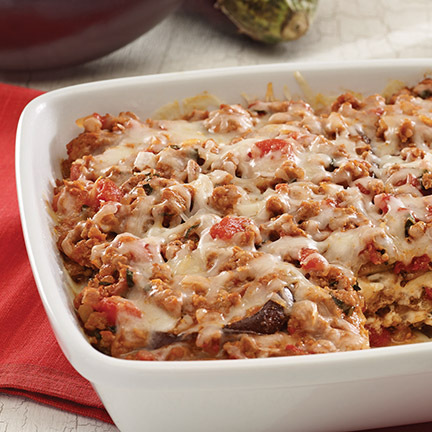 Repeat layers, ending with a layer of eggplant slices topped with meat mixture and remaining mozzarella cheese. Pour tomato sauce and undrained tomatoes into 13-by-9-inch baking dish. Stir in 1/4 cup (4 tablespoons) Parmesan. Add chicken; turn to evenly coat both sides of each breast with sauce. Cover. Bake 30 minutes or until chicken is no longer pink in center (165°F). Meanwhile, cook spaghetti as directed on package, omitting salt. *Lye peeling is generally recognized as safe by the FDA and has no adverse effects on the healthful­ness of tomatoes.